Ariane T is our winner of the Ink and Arrow Fabric giveaway. She will win over 3 yards of Camp S’mores fabric, and I’m through in a few bits of trim too! Come back later for a tour of my Shasta lovingly called Sew Junie and see how I guessed her up with all these great projects! 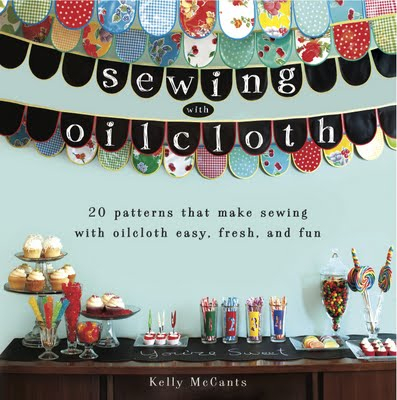 And, don’t forget to check your local quilt shops for this fun fabric, it’s in stores now! Welcome back to my Camp S’more Series. It’s pillow day!! Thanks to the kind folks at Ink and Arrow Fabrics my Sew Junie camper is getting a mini-makeover. This cute fabric is just perfect for my 1971 Shasta Camper that I took from 70’s to farmhouse cozy 2 years ago. When I started my pillow-palooza, I really wanted to mix it up. I wanted this set of pillow covers to be fun and exciting, with a lot of patchwork and pattern play. Most importantly, I needed to get them done quickly. What I didn’t want was to go to the fabric store. I had my stack of Camp S’mores fabric from Ink and Arrow, a mountain of pillow forms, and my handy stash of trims. What I was short of were invisible zippers. Originally, I had intended to use my basic invisible zip pillow cover pattern from At Home with Modern June. Past the basic construction, I meant to mix up the pillow fronts with a combination of looks, but I only had a few zips on hand. I knew that I’d need to make some envelope pillow covers so, I headed off to my favorite sewing sites and got inspired. Check out all the free pillow tutorials that I pinned this week on my DIY Sewing & Craft board! I think my favorite pillow has to be the Hourglass Pillow tutorial that I found on AllPeopleQuilt.com. I love, love, love the button detail. We love tufting, right? Maybe the Easy Strips Pillow my favorite, this one was very quick and easy to make. Man, it’s just too hard to choose a favorite. APQ has over 45 free pillow patterns and so much more! If you are looking for a great envelope style, pillow cover tutorial with multiple options of trim the Grandma Anna’s Pretty Little Pillows via sew4home is a winner. It inspired me to get creative on the backside of my pillows. 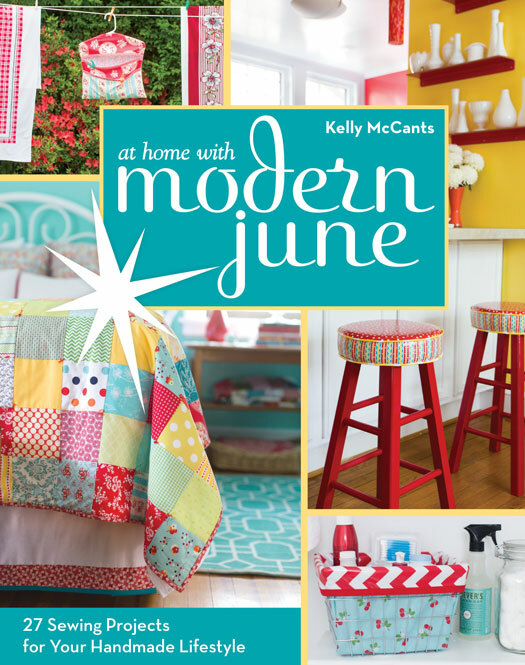 Here is a peek at my pillow cover pattern in At Home with Modern June! Please head over to the first post in this series to enter to win a lovely bundle of fabric. It’s enough material to make the small quilt that I used as a tablecloth and as a picnic quilt. I’ll be picking a winner on Monday! Come back on Monday to see the entire camper makeover and to see if you are the lucky winner! I love a good staple project, they are satisfying because they are so quick to do. I’m aways on the lookout for foot and camping stools at flea markets and vintage fairs like the Country Living Fair. In fact, I’ve shown many audiences at those events how easy it is to recover these stools at those fairs during my oilcloth days! I picked up these up from a local vintage vendor a few years ago. I found a ton of vintage camping stools for sale on Etsy. I even found this stool that is exactly like my pair. Buying local is best, this way you can skip shipping and check the camping stool for studiness. Step 1: Measure the old canvas that makes up the seat of the stool and jot the measurement down for later. See the following photo. The sample camping stool seat measured 11 1/2″ long. Step 2: Use a pair of angled pliers to remove old and worn out the canvas. The angle allows you to dig out the staples. Note: I did not repair the seat in the same way it was manufactured. The wood was brittle and splintered apart easily, there was not a chance of reusing it. Sadly, I couldn’t find a proper substitution for the wood insert, so I’ve improvised a solution. Step 3: Once the canvas is removed measure the old fabric. The original seat fabric was 10 1/2″ wide by 15 1/2″ long. Next, add 1″ to the width for seam allowance and 3″ to the length to get extra fabric to wrap around wood. Now that you know your new measurements it’s time to cut your new material. Step 4: One the back of your Camp S’more fabric draw out an 11 1/2″ x 18 1/2″ rectangle. Cut out 2 rectangles out of the quilting cotton and 2 out of the thicker home dec fabric. In other words, one quilting and one home dec piece per stool. Step 4: Place one Camp S’more rectangle on to a home dec rectangle with right sides together, making sure to match up your edges. Sew along the long sides using a 1/2″ seam allowance. Step 6. Turn right sides out and press. Step 7: Fold in half and place a quilt pin in the center of the new seat material. Fold once more so your fabric is folded into quarters. Step 8: Unfold the fabric and place it facedown on the table. Flip your stool upside down and line up the top support just inside pins. Once you have lined it up, wrap the fabric up and around the wood and use your staple gun to staple the fabric into place. Repeat on the adjacent corner. Your staples should not be visible, as they are under the stool. Note: Only place one staple per corner at this time. This way you can quickly make any adjustments after affixing the opposite side. Step 9: Move the fabric and stool around so you can work on the other end of your seat. This side may be slightly smaller than the other side. If so, just make a little pleat in the fabric and staple it into place. Step 10: Flip your stool over to see that you are happy with the results. Use your pliers to remove staples and fix any trouble areas. Once the seat is sitting pretty, flip the stool back over and staple the rest of the line, so the staples are spaced about an inch apart. This may seem like overkill, but you don’t want it to give way from under you on a hot date at the music concert. Use a hammer to pound in any staples that are not flush with the wood. Step 11: This next part is tricky, you want to wrap the extra fabric up and around the wood as much as possible, so your stool is sturdy and neat. With the stool on it’s side, use the staple gun to run a line of staples securing the raw edges out of the way. You will feel like you are fighting an octopus, but a tidy stool will be your reward. The only thing left to do is to fill up your picnic basket and head out for a little outdoor fun! Won’t these be perfect for #sewjunie glamping trip, or for a concert at the park? Don’t forget that the folks at Ink and Arrow Fabric’s is letting me pick one lucky winner for this fabric giveaway! Just leave a comment on this post and/or all the other Camp S’more Series posts to enter. The winner gets enough fabric to make the quilt, stools, and flag topped skewers, that’s over 3 yards of fabric. A big thank you to Ink and Arrow Fabrics for sponsoring this series. I’ll be back on Friday when I to show off the slew of Camp S’more pillows that I’ve made for my Sew Junie camper!